Despite narrowly losing to one of the best teams in Europe in their opening match of the FIFA U-20 Women’s World Cup, New Zealand coach Gareth Turnbull is craving more from his players and needs to see an improvement in some key areas if his side are to make it past the pool stages. On Monday morning, New Zealand put in an accomplished display against the Netherlands – European champions at senior level and semi-finalists in the 2017 UEFA Women’s U-19 Championship – but were left heart-broken when the concession of a late winner brought a 2-1 defeat. They are now third in Group A and are being kept off the bottom only by Ghana, who lost their first game 4-1 to hosts France. A positive result against the French is therefore needed on Thursday to keep New Zealand’s hopes alive going into their final group encounter against the Africans. Given the quality of the opposition, Turnbull was proud of his players’ efforts against the Netherlands but knows more is needed if they are to have any hope against France, another of Europe’s finest footballing nations. “Whilst we can take real heart out of the second-half showing, the staff will be asking the girls to be braver during our possession moments,” he says. As was the case with the classy Dutch, New Zealand will be going up against the odds in facing France and Turnbull has a high degree of respect for their collective talents. “France are a wonderful side with class all over the pitch,” he says. Though they qualified automatically as tournament hosts, France still took part in the European qualifying competition. They did so as defending champions, having beaten Spain in the 2016 final. The two sides met again in the 2017 showpiece match, with ‘La Rojita’ exacting revenge to deny the French a historic double. Despite that defeat, ‘Les Bleuettes’ enjoyed a fine campaign, beating Germany 2-1 in the semi-finals and England 1-0 in the group phase, results that will have put them in a confident frame of mind in hosting this tournament for the first time. They are yet to become U-20 world champions but came close in the previous tournament in 2016, making it all the way to the final before losing 3-1 to North Korea. The French also performed well in 2014 with a third-place finish. Coached by former Bordeaux defender Gilles Eyquem, France have a safe pair of hands in goal in Mylene Chavas, who won the Golden Gloves in 2016, and a wealth of attacking talent. But New Zealand have plenty of experience themselves – seven members of Turnbull’s squad have been involved in the full Football Ferns set-up – and no shortage of quality in the final third either, as evidenced by Hannah Blake’s world-class strike against the Netherlands. “There’s a lot of belief in this group and we’ll make sure we prepare well for another important game,” Turnbull says. 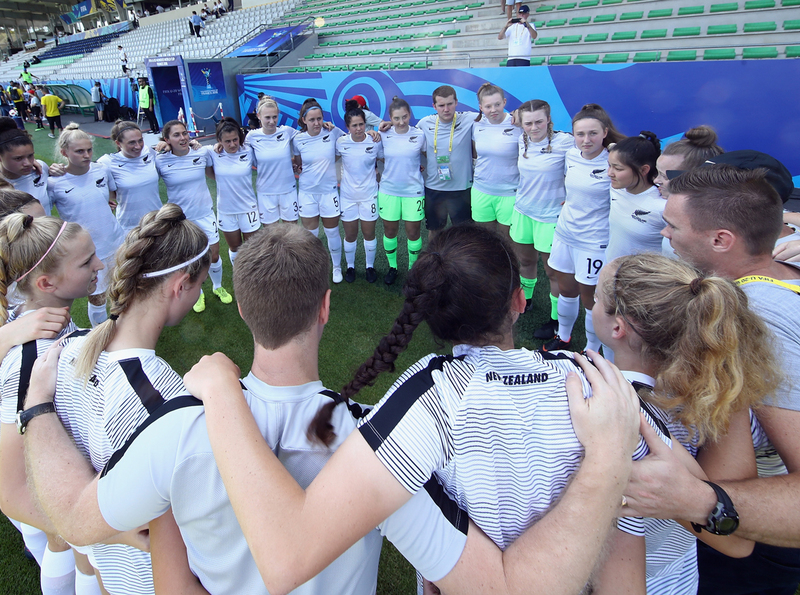 New Zealand will take on France in Group A of the FIFA U-20 Women’s World Cup on Thursday morning at 5.30am (NZ time) with coverage live on SKY Sport.